Volunteering is a great way to get your name out there, make yourself marketable, meet new contacts, learn new skills and provide a public benefit — all while having fun and being appreciated for your hard work and effort. I first started volunteering a little over 20 years ago, shortly after I was licensed. I met an attorney who had been practicing since the early 1970s; he eventually became one of my employers and mentors. Larry had several rules about practicing law. These rules were never written down, and sometimes you didn’t know it was a rule until you broke it. It was simultaneously funny, enlightening and unnerving. One of his rules was, “Always have a legal aid client.” He told me this the first day I started working for him. Since then, I have always participated in volunteer work in some form or another. Hopefully this article will inspire and encourage you to start volunteering, as it is so beneficial to you and your practice. Volunteering, like any good investment, will only cost you two things: time and money. If you’ve been recently admitted and have more attorney tomorrows in front of you then yesterdays, it’s probable that you have some extra time on your hands. Give some of it to those who genuinely need help. Eventually, this gift of time will become habitual. You will start scheduling it into your calendar; you will look forward to your charity work; and it will become part of your ideology. It’s a great habit to get into. You will have some out-of-pocket expenses, such as gas and meals. However, the knowledge, experience, networking opportunities, lifelong friendships, job offers and clients that you will gain through your volunteering efforts will greatly overshadow these minimal expenditures. Most importantly, it makes you feel good knowing that you’re using your talents to help your community. Before you start volunteering, be thoughtful of exactly where and for whom you will work. 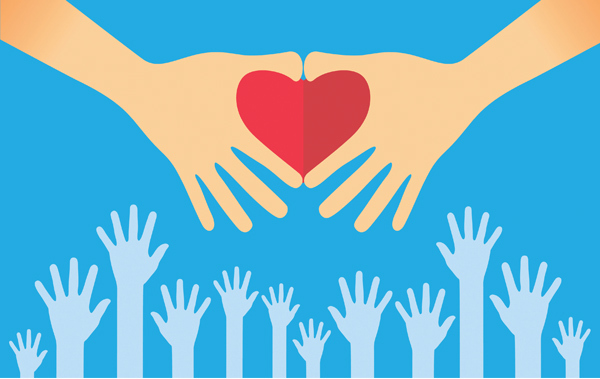 Your time volunteering should be incorporated into your marketing strategy, and you should consider how to implement volunteering into your overarching marketing plan. Even if you’re looking for a job in a big firm, you should be developing a way to market yourself to those employers. There are volunteer opportunities in every major area of law, the exceptions being traffic and criminal law. Organizations including Colorado Legal Services and Metro Volunteer Lawyers provide services to indigent and low-income clients. They are in regular need of attorneys in the following areas: family, estate planning, elder, health, consumer, agency, employment, civil rights, business, juvenile, migrant, Native American, tax and immigration. The Colorado Poverty Law Project, Colorado Attorneys for the Arts and Court Appointed Special Advocates for Children always welcome new volunteer attorneys. These are just some of the many organizations that are looking for attorney help. There are also pro se clinics and other volunteer opportunities through your bar association or at the courthouse. Some of these opportunities may give you the experience that many large firms look for in new hires. There are so many opportunities to interact and connect while fulfilling a community need. By volunteering, you will become a better attorney and expand your network while inevitably marketing yourself or your firm. Nonprofit organizations and public institutions need volunteer attorneys too. There is approximately one Colorado nonprofit for every 200 people. Helping these organizations is another way to grow your network. Not only do these nonprofits need attorneys, they need volunteers in general; the friendships you gain from improving your community or the environment will last a lifetime. Lastly — and I would do this first — speak with the CBA, DBA or a specialty bar association about what volunteer opportunities they have available. Volunteering should be fun; choose something you enjoy. Find an interest or a passion that you truly believe in and commit to it. Make friends and try new things. If a leadership opportunity presents itself, step up to the plate. While I was writing this article, I wondered what happened to my old friend Larry. I lost contact with him 15 years ago. When I looked up his bar number, it came up deceased. I discovered through social media that he passed away two years ago. He even had a rule for that: “Attorneys only retire when their number comes up deceased.” Typical Larry! Paul Miller is a sole practitioner whose firm specializes in estate planning, nonprofits and small business law. In his spare time, he enjoys skateboarding, snowboarding, playing golf and working with young people. He can be reached at paul@pmillerlawoffice.com.